I recently toyed around with the idea of going to Holland to live for a 12 weeks and train Muay Thai. They practice more of a K-1 style there with more emphasis on leg kicks and punches and less on clinching and elbows. Best of all, Holland and Amsterdam sound like a really cool place to live for a few months. Surprisingly, training is much cheaper there than it is in Thailand. There are tons of Muay Thai gyms in Holland to choose from. Meijiro gym where Andy Souwer comes from. Vos Gym with Ernesto Hoost and Antoni Hardonk. Chakuriki Pancration has Badr Hari. Then there's also Golden Glory where Alistar Overeem used to train at. Best of all, each one of these gyms costs between 50 - 80 Euros a month for unlimited training, which is around 1,900-3,000thb. In Thailand expect to pay between 5,000-10,000 baht a month for unlimited training which is around triple the price. The downside however is the costs of living including food, transportation and accommodation will be much more expensive. One of the best things about Thailand is you can just show up and rent an apartment as easy as renting a hotel room. There are no contracts and sometimes not even a deposit is required. Food is cheap as well as getting around. One good thing about the Netherlands however is that everyone speaks English and Dutch girls are hot. There is a great electronic music and party scene in Holland and Amsterdam is supposedly a really fun city. All of the Dutch people I've met while traveling in Thailand have been friendly and funny, and most of the girls have been pretty damn good looking. So it sound like a no brainer, and I should plan my next trip for 12 Weeks in Amsterdam instead of Thailand. I may still do it someday but the main reason why people still prefer to train in Thailand is because Muay Thai camps here are still more immersive. The problem with all Muay Thai schools in America, England, Australia and even The Netherlands is that people there have real jobs and real lives to focus on. 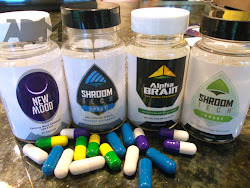 In Thailand, everyone's full time job is to train, which gives you a different type of motivation, drive, dedication but also it speeds up your learning as a beginner. Even in Holland you still just have one trainer leading a big class. You might hold pads for each other, but unless you're paying for an expensive private lesson, don't expect the trainer to ever hold pads for you. You also won't be sparring very often if at all, especially as a beginner. Take a look at a class filmed in Holland. The instructor and techniques maybe awesome but it'll take years to get good at Muay Thai this way. In Thailand, they throw you to the wolves. You're sparring from day one and you're fighting within three months. You may not have the best technique, and you may develop some bad habits, but you fast forward your progress. I may still visit Holland one day and if I do, I'll definitely want to train but I still think that at my level of Muay Thai I'll benefit more from being in Thailand. Maybe if I ever get to a really high level and want to technique I'll go there. I think if you're training with the pro fighters and sparring a few days a week you'll do very well in Holland. If you live in Europe and are part of the EU, I'd highly consider doing a training camp in Holland. It'll be a lot cheaper to travel there, you won't have any visa issues and it'll still be a fun adventure. The biggest problem would be accommodation as it would be impractical to sign a contract for an apartment, especially if it's unfurnished. 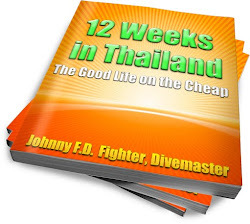 If anyone knows of any Muay Thai gyms in Holland that provide accommodation let me know in the comment section..
www.12weeksinThailand.com - Read the 1st chapter for free if you haven't already. Hey Andrea, Holland would be incredible for Muay Thai. I'm still in Thailand now but am planning a trip to Europe this summer. Let me know how you like Holland and where you end up training. now how come then holland muay thai school cant make them selfs learn clinch and all the related techniques ? don`t they have greco roman olympic wrestlers that can teach them the basics of clinch warfair ? It's because there are no elbows or clinching in the K-1 rules sport. thats the point them dutchies removed the most signifigant parts of thai fighting and made a puff version . big bad puff style kick boxer-ing version of thai fight !! The K1 ruleset was made by the Japanese and is nowadays the most used ruleset for fight in Holland, which is mainly the reason why the clinch and the elbows are neglected. Don't be fooled though, there are several elite and some under the radar gyms that practice the clinch heavily and know their way around the inside game.